Gov. Gretchen Whitmer delivered her first State of the State address on Feb. 12. Michael LaFaive, the Mackinac Center’s senior director of fiscal policy, has watched the last 28 State of the State speeches as part of his official duties with the Center. He’s also read others all the way back to Gov. William Milliken’s 1969 address. LaFaive, along with his colleagues, keeps a tally of proposed expansions and limitations offered up by governors during their terms in office. The tally gives insight into each governor’s faith in state government to solve — or not solve — problems that beset Michigan and her citizens. The tally for Gov. Whitmer’s first State of the State speech was 6 proposed expansions and one proposed limitation. She proposed fewer expansions than all governors since Gov. Milliken, who proposed an average of 5.6 expansions per speech from 1969 through 1982. Gov. Jennifer Granholm proposed the most, with an average of 16.3. Even comparing Gov. 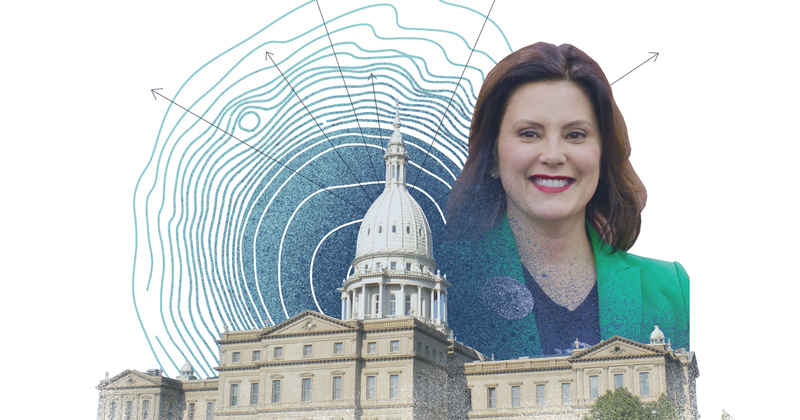 Whitmer’s first State of the State to the first for all other governors demonstrates that her impulse for expansions is relatively modest. Gov. John Engler offered only three in his 1991 speech. Gov. James Blanchard offered only six in his first State of the State, back in 1983. Gov. Granholm proposed the most expansions of any first-year governor, at 13. Remarkably, there has been one instance of a governor proposing no expansions of state government in a State of the State. That distinction belongs to William Milliken. His 1974 address requested no expansions and offered up a single limitation on state government. Mackinac Center observers expected far more detail from Gov. Whitmer than she delivered. She campaigned both on fixing the roads and on education. After six weeks in office, she could have used the State of the State to lay out her administration’s plans in detail on at least one of those subjects, but we learned very little. Perhaps that was a strategic choice of a governor who wants to provide lawmakers the courtesy of a first, detailed look. It appears now that vital fiscal details were revealed in her first budget proposal, introduced in early March. The Mackinac Center’s Morey Fiscal Policy Initiative may have gotten ahead of the governor when it comes to presenting ideas on the budget to the Legislature. On Jan. 1, LaFaive published “State Budget: Cut Corporate Welfare for Roads and Economic Growth.” This report reminds officials that Michigan’s corporate handout apparatus is ineffective and wasteful. Any money saved from eliminating programs or personnel (at least $261 million) could be redirected to roads as part of larger reforms. According to LaFaive, about $57 million (in 2017) of this spending was not even appropriated by the Legislature. Instead, it flowed directly to the state’s chief development agency from Indian gaming revenues, as it does every year. Research by the Mackinac Center and other institutions and scholars has shown repeatedly that state handouts to corporations and industries are ineffective development tools. But studies also show a positive economic development impact from an efficient, quality road infrastructure. That is why lawmakers debating the governor’s new budget request should look to move state spending from the Michigan Strategic Fund and its administrative alter ego to road funding.